The financial advisors who work at Provident Financial Group, LLC, not only have the knowledge and experience to help you pursue your financial goals, but they also care about you! Our group was founded on the idea that individualized strategies are required to effectively meet the financial objectives of all of our clients. Many firms may say that, but we believe it—and live by it. Our experienced staff has a wealth of knowledge and expertise in a wide variety of financial planning services and strategies. Our staff of professional financial advisors is always ready to address your concerns, answer your questions, and put you at ease. Give us a call or send us an e-mail today. "I believe in taking an in-depth, strategic approach to financial planning. I seek to solve the financial challenges my clients face as they relate to retirement, inheritance, education, insurance, and investing. Above all else, I observe the highest professional and ethical standards, act in my clients' best interests, and constantly strive to improve my abilities." 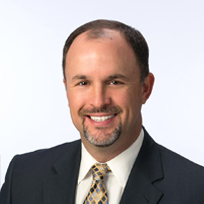 Eric Boland is one of the four founding members of Provident Financial Group, LLC, and brings 20 years of financial services industry experience to the partnership. As a financial advisor to a wide range of clients, Eric works hard to identify the immediate and long-term needs of his clients and helps them prepare a financial plan to achieve their goals. Eric is a CERTIFIED FINANCIAL PLANNER™ (CFP®) practitioner. He has also received the Accredited Investment Fiduciary® (AIF®) designation from the Center for Fiduciary Studies, a specialized program of study focused on 27 prudent investment practices. Eric earned a BA in business management from Monmouth College. Eric is an active member of his community and served as board president of Family Service of Champaign County as well as on the United Way of Champaign County Emerging Community Leaders. He currently serves as a board member for Illini Rebounders. Eric and his wife, Jill, have a son, Trevor, and a daughter, Abby. When he isn't actively planning for his clients, Eric enjoys spending time with his family, playing golf, coaching Little League baseball, and reading. 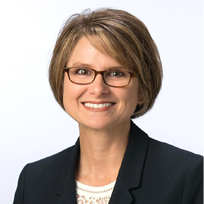 Starla Carr is one of the founding members of Provident Financial Group, LLC. She has 25 years of experience in the financial services industry. 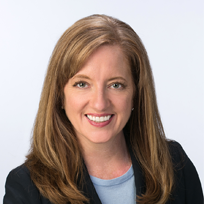 Starla works closely with her clients in formulating appropriate strategies, and her expertise is selecting investments that match each client’s specific goals and objectives. She specializes in financial planning, retirement, education and estate planning. She holds the Chartered Retirement Planning Consultant (CRPC®) designation and is licensed for life and health insurance in Illinois. Starla also holds FINRA Series 7, 63 and 65 securities registrations as a Registered Representative and Investment Advisor Representative of Commonwealth Financial Network®. She earned her BS in marketing from Southern Illinois University. Starla is an active member of the community, serving on the Cunningham Children’s Home Asset Management Committee. She is married to Matt, with whom she has one son, Mitchell, and one daughter, Allison. In her spare time, Starla enjoys spending time with family and friends, gardening and attending Illinois sporting events. 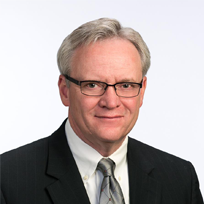 Robert Meyer is one of the founding partners of Provident Financial Group, LLC. He began his career in the financial services industry in 1978. Rob specializes in retirement income planning. He works with each client to develop a retirement income strategy tailored to their specific needs. Rob is a Chartered Financial Consultant® (ChFC®). He holds FINRA Series 7, 63, and 65 securities registrations as a Registered Representative and Investment Adviser Representative of Commonwealth Financial Network®. In addition, he holds Illinois life and health insurances licenses. Rob earned a Bachelor of Science degree in Finance from the University of Illinois. Rob is a past-President of the Rotary Club of Savoy, and now chairs the club’s foundation committee. He and his wife, Jane, are life-long members of the community. Their son, Matt, following in their footsteps, attends the University of Illinois. Melinda joined Provident Financial Group, LLC in May 2009 just after they opened for business. She brings more than 20 years of customer service experience to the Provident Team, which includes 15 years in the financial services industry. As the first face clients see when coming to Provident, Melinda ensures everyone receives the highest level of service, as well as performing a wide variety of office functions. She also fills the role of assistant to each of the advisors in our office. Melinda earned her BS in Finance, with an Accounting Minor, from Illinois State University. Melinda and her husband, Greg, have two sons, Zachary and Jacob. She enjoys spending time with family and friends, outdoor activities and reading.